Boeing To Slow Production Of 737 Max While Developing Software Fix The company says it isn't planning layoffs. In recent months, two 737 Max planes have fatally crashed, as the pilots struggled to pull the jets out of nose dives. Boeing says it is reducing production of its 737 Max planes, and the temporary slowdown will begin in mid-April. CEO Dennis Muilenburg says the company will build 42 of the planes per month, down from the current 52, while keeping the same number of workers. Boeing still has an enormous backlog of orders — about 4,600 — for the Max planes. That will take years to fill. Muilenburg says he now knows that two deadly crashes within five months of each other, involving Lion Air and Ethiopian Airlines, had a common link of a malfunctioning flight-control software called MCAS. He says he has asked Boeing's board of directors to create a committee to review company policies for airplane development and recommend improvements. Ethiopian Airlines released a preliminary report Thursday on the crash of its plane on March 10. Investigators say the pilots used procedures provided by Boeing but couldn't stop the plane's repeated nose dives. All 157 people on board died in the crash just after takeoff from Addis Ababa. A Lion Air 737 Max jet crashed in a similar way on Oct. 9, with pilots frantically trying to stop the nose from dropping. The plane went down off the coast of Java, killing 189 people. 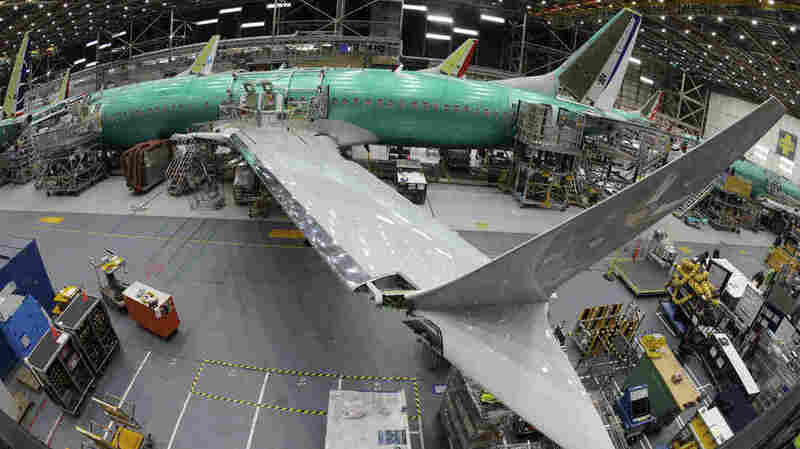 The 737 Max planes have been grounded worldwide for nearly a month as Boeing works on a software fix.